Laura is an Insolvency Manager in our Hull office. She graduated from the University of Hull in 2005 with a degree in Law. Shortly after completing her Legal Practice Course in 2006, she began working at Jackson Jolliffe Cork, which later merged with RSM Tenon, where she gained both a CPI and an AAT qualification in short order. 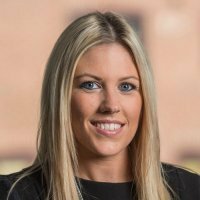 After six years of working in the insolvency sector, Laura was recommended to and joined Begbies Traynor’s Hull office as a Senior Insolvency Administrator, as part of its expansion in 2012. She became an Assistant Manager in 2016, and quickly went on to be promoted to the position of Manager in July 2017. Laura specialises in Restructuring, Corporate & Personal Insolvency, Distressed Advisory and Business Investigations.